He was born November 18, 1944, in Huntingburg, Indiana, to Herbert and Edith (Wade) Rademacher; and married Connie L. Burgdorf on June 17, 1967, at Salem United Church of Christ in Huntingburg. Wesley worked in sales and security at Yellow Freight in Nashville, Tennessee. 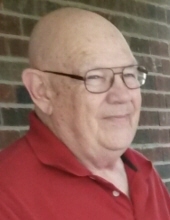 He was a dedicated member of Salem United Church of Christ, a former active Jaycee’s Club member, and a diehard University of Kentucky and Tennessee Titans fan. He was preceded in death by his parents; one son, Bradley Allen Rademacher, who died January 27, 2015; and one brother, Bob Rademacher, who died March 26, 2003. He is survived by his wife, Connie L. Rademacher of Huntingburg, Ind. ; two brothers and two sisters-in-law, George (Terri) Rademacher of Oxford, Florida and Wade (Phyllis) Rademacher of Carmel, Ind. ; his sister-in-law, Ann Rademacher of Huntingburg, Ind. ; by nieces and nephews. Funeral services for Wesley Rademacher will be held at 11:00 a.m., E.S.T., on Wednesday, March 27, 2019, at the Nass & Son Funeral Home in Huntingburg with burial to follow at Fairmount Cemetery in Huntingburg. Reverend Mark McDaniel and Reverend Tom Wade will officiate at the service. "Email Address" would like to share the life celebration of Wesley William Rademacher. Click on the "link" to go to share a favorite memory or leave a condolence message for the family.